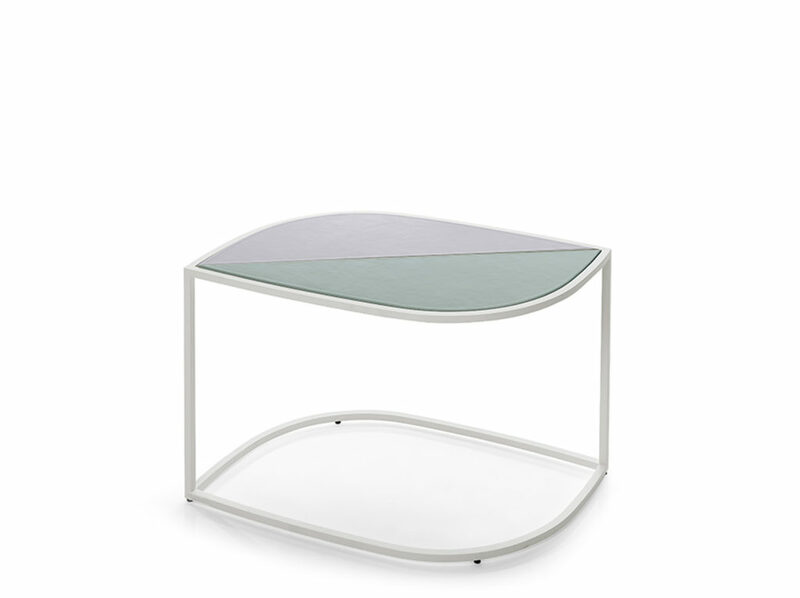 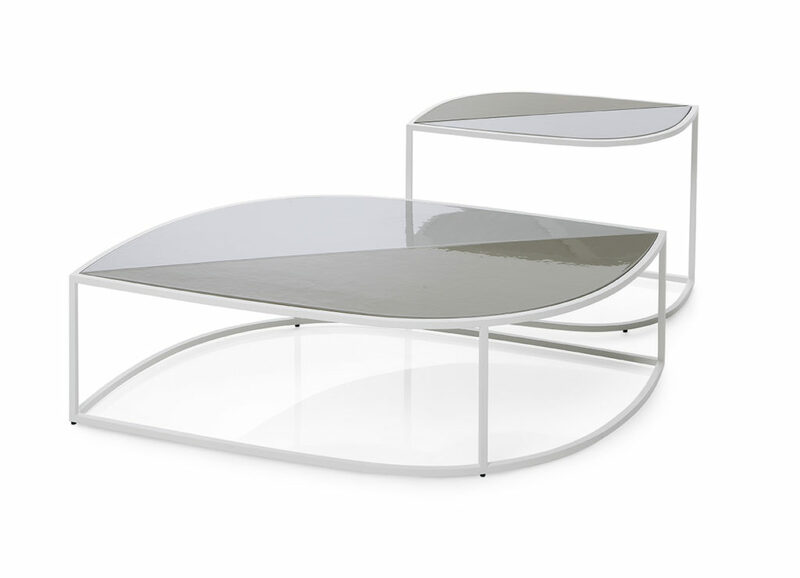 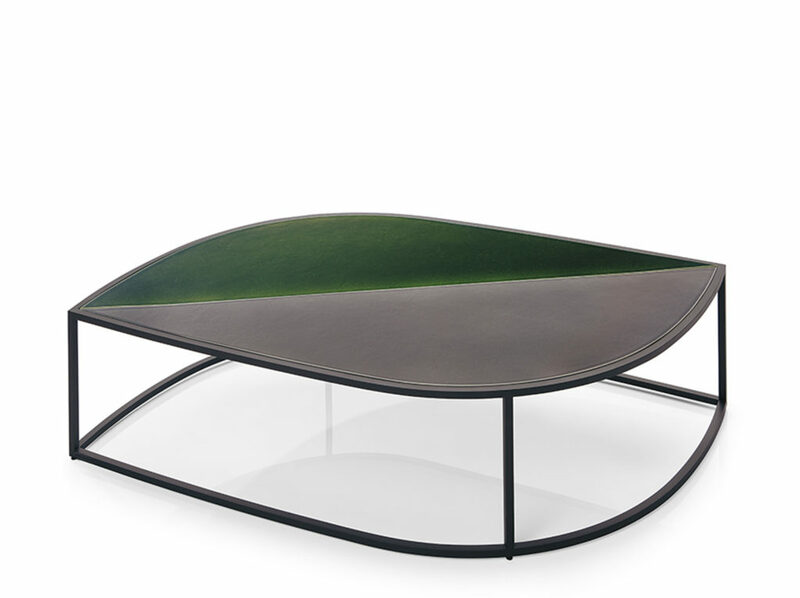 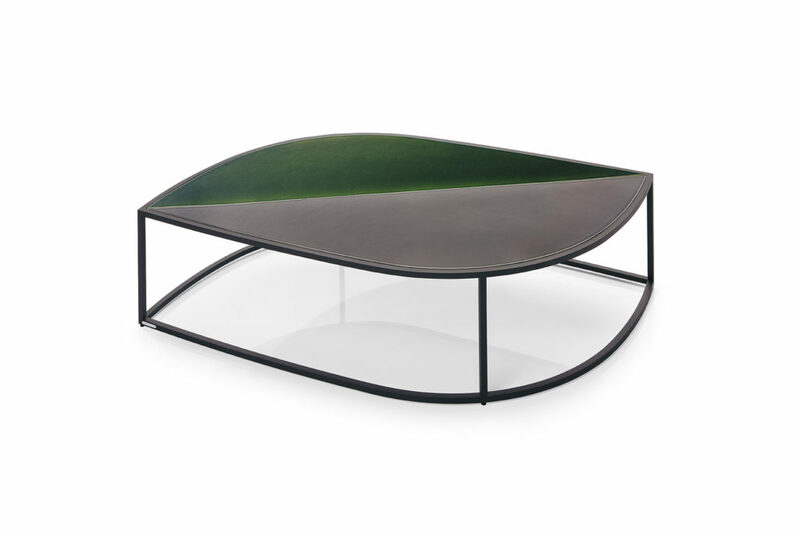 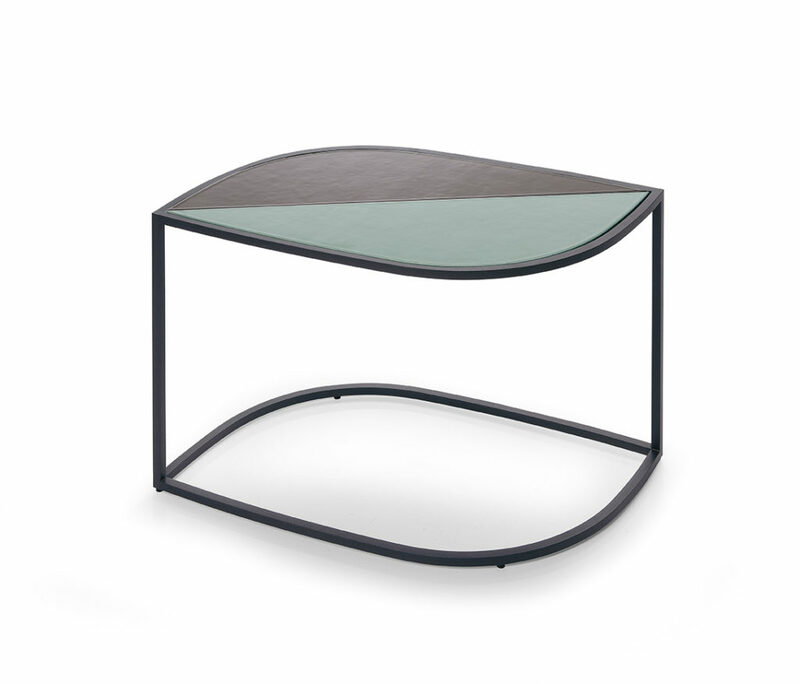 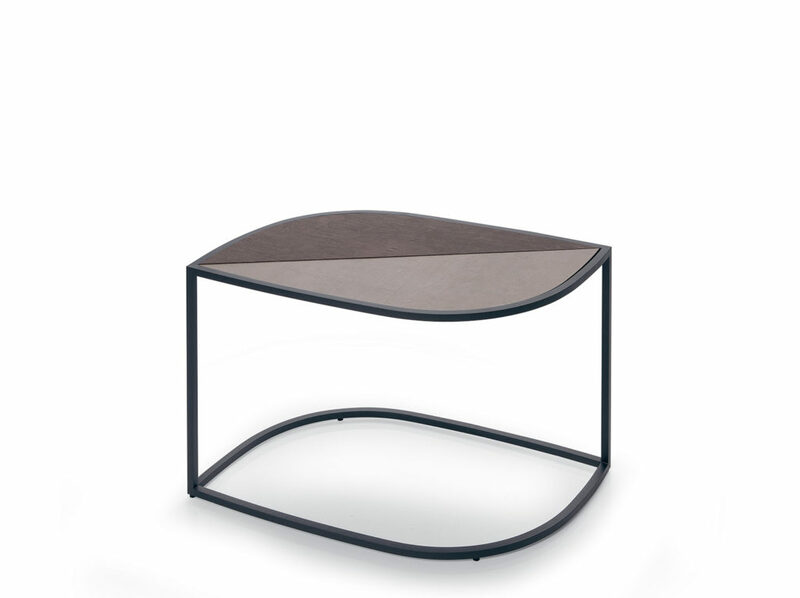 The LEAF side/coffee table extends the RODA outdoor complements proposal, playing in an innovative nature: extra large leaf-shaped side tables designed to coordinate with each other in a harmonious play of “all green” tops. 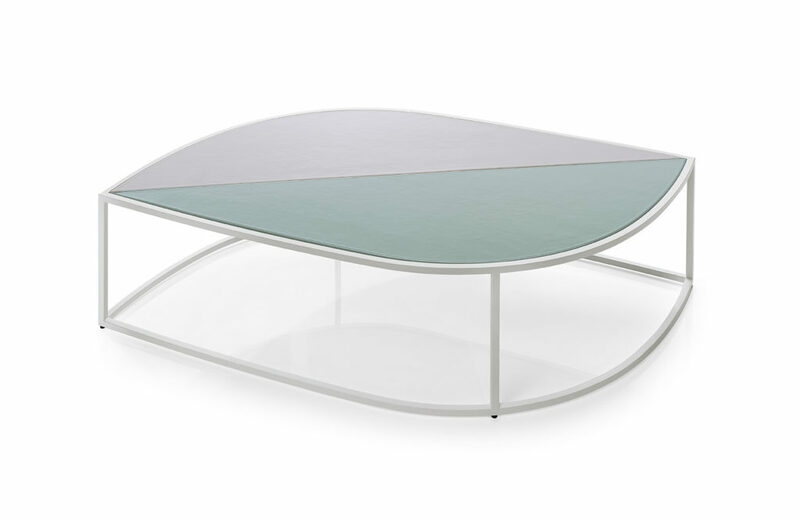 The structure in smoke or milk finished stainless steel is teamed up with a shaped gres top, consisting of two symmetrical bicoloured tiles, available in a natural finish or in a choice of enamelled colours. 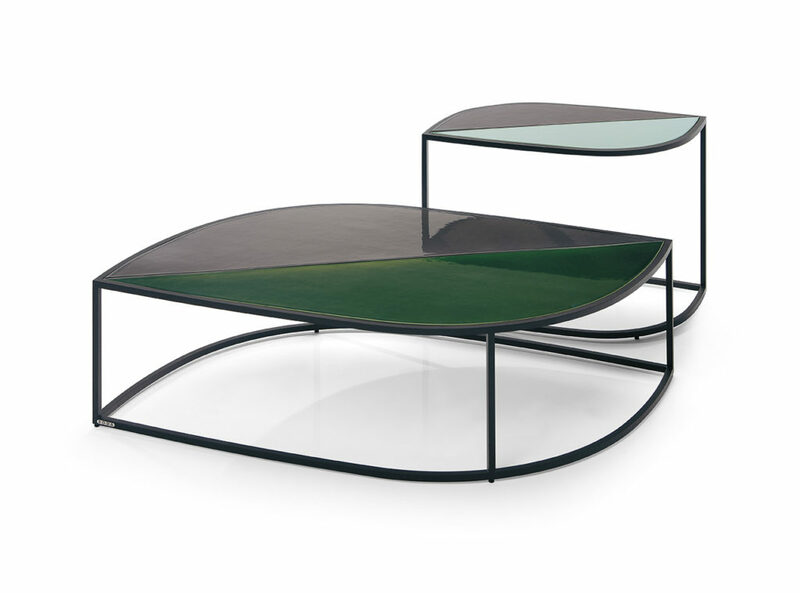 From emerald green to water, colour is used to add verve but is never overwhelming, to interpret the discreet and refined taste of RODA.